An air filter is a component that removes particulate matter and other impurities from air. 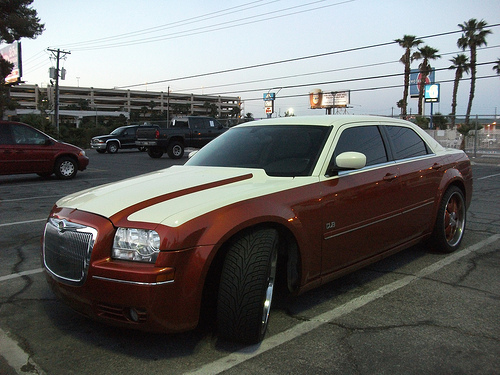 There are two types of air filters used in automotive applications: regular engine air filters and cabin air filters. Engine air filters are an important part of intake systems since they are responsible for providing filtered, particulate-free air to the engine. In the same way, cabin air filters are responsible for removing contaminants (primarily pollen and other allergens) from air that enters the passenger compartment. Since internal combustion engines rely on air for use as an oxidizer in the process of burning fuel, and contaminants can damage various components in both the intake and the engine itself, operating an engine without an air filter typically isn’t recommended. However, a plugged air filter can create an artificial constriction on airflow through the intake system, which can result in a lack of power. 3 How do Air Filters Work? For several decades after the invention of the automobile, internal combustion engines didn’t use air filters. They had extremely simple intake systems that typically consisted of little more than an air inlet. It wasn’t until 1915 that a car shipped from the factory with an air filter, when Packard included one on their Twin Six for that model year. Since the introduction of the air filter, the construction materials and basic designs have both gone through a number of changes, and a handful of different types of filters have emerged. The first automotive air filters were made out of paper, which continues to be a popular filtration media. Most air filters are made from pleated filter paper. In order to make paper air filters for automotive applications, the filter paper is “pleated” to increase the surface area contained within a given volume of space. They are often sealed in foam or plastic at the edges, and they sometimes have metal or plastic components to provide rigidity. Paper filters are usually considered wear items, which means that they have to be discarded after they have become clogged. However, some of these filters are designed to be rinsed and then returned to service. 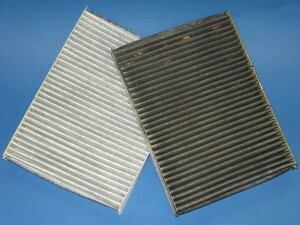 Cabin air filters are typically made from pleated filter paper, but they tend to filter out smaller particulate matter. This is due to the fact that air constriction matters less for a cabin filter than an engine filter, and cabin filters have to trap exceptionally small particulate matter. These units often qualify as semi- or full HEPA filters. Cabin air filters are often semi- or full HEPA filters. 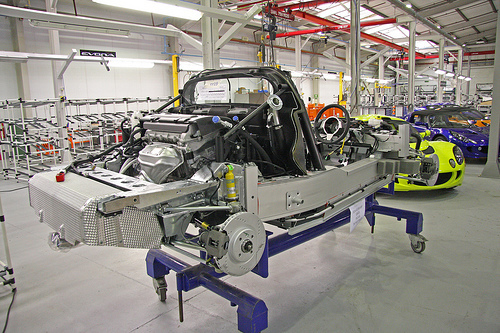 Cotton gauze has been used in a limited number of OEM applications, but most of these filters are aftermarket products that target the performance market. These filters are typically more expensive than paper filters, but they are also designed to last longer. This type of filter typically consists of a number of layers of cotton gauze that are held between wire mesh screens. The cotton gauze is treated with oil, which helps trap particulate matter without creating excessive constriction on the flow of air. When this type of filter does become clogged, it can be washed and then re-oiled before being returned to service. These filters are similar to cotton filters, but they use polyurethane foam instead of cotton gauze. They still use oil to help trap particulate matter, and they can be designed to offer either a high level of air flow or an exceptional ability to capture particulate matter before becoming clogged. Although these filters aren’t as popular as paper or cotton filters, their ability to pack in a lot of dirt makes them popular for off-road motorsports. Air filters work by trapping some of the small particles that exist in most environments while allowing air to flow relatively unimpeded. In an automotive intake system, the air filter always sits ahead of the throttle body and mass air flow sensor. 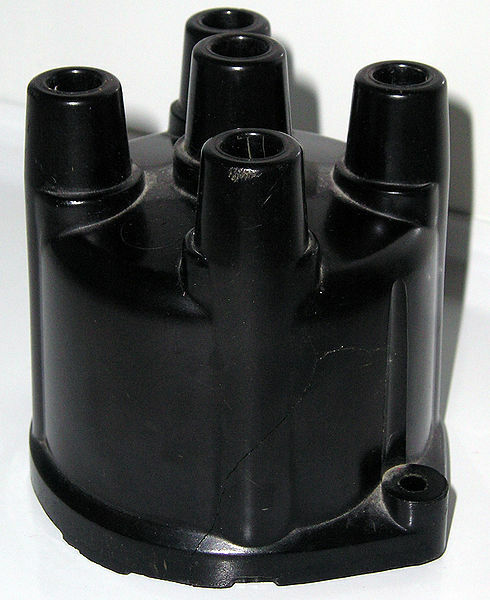 In older applications, the air filter typically sat directly on top of the carburetor. 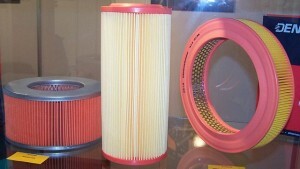 In newer applications, air filters are typically installed in “air filter boxes” at the head end of the intake system. In those cases, the air inlet may be located on the box, or there may be a tube that leads from the box to the front of the engine compartment. When air first enters the intake system, it has to pass through the air filter. As it passes through the filtration media, any particulate matter larger than the pores in the filter gets stuck, while the air itself is able to pass through. This causes a certain level of restriction on the flow of air, but it is typically negligible when the filter is relatively clean. The most common cause of air filter failure is simple time and use. A typical filter will only last 5- 15,000 miles or so, depending on the driving conditions. In especially dusty conditions, a filter can become plugged up in an exceptionally short period of time, which will result in a severe lack of power. If a filter is plugged up badly enough, the engine may even die. Some filters have to be “recharged” with oil after they have been cleaned. 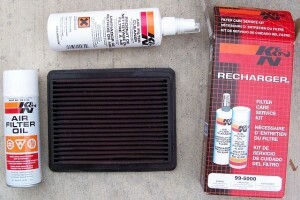 In most cases, the fix for a failed air filter is to simply replace it. However, some filters can be removed, cleaned, and returned to service. This is particularly true of cotton filters, but some paper filters are also designed to be cleaned. In some cases, you will have to reapply a special type of oil before returning the filter to service. Next story What is a Throttle Body? Previous story What is an Intake System?